What a charming home with loads of character. 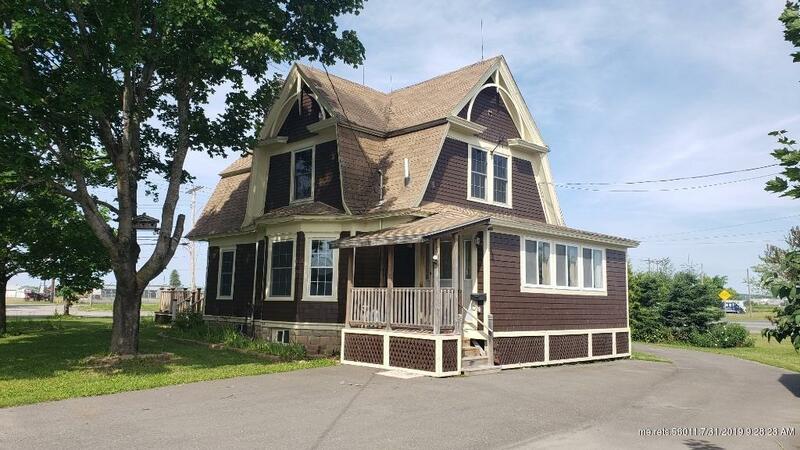 This 3 bedroom gambrel style home has a newly remodeled kitchen with stainless steel appliances and lots of room. The home has separate dining room and living room with a pellet stove insert in the fireplace. The original wood trim, flooring and banisters have not been painted and add to the warmth and charm of this home. On the first floor is a full bathroom and a full bath and 3 bedrooms on the second floor. The State street side of the home has a newer and large 28x20 foot deck. There is also a great outbuilding that could be used as a greenhouse, or an art studio and currently has a hot tub in it.